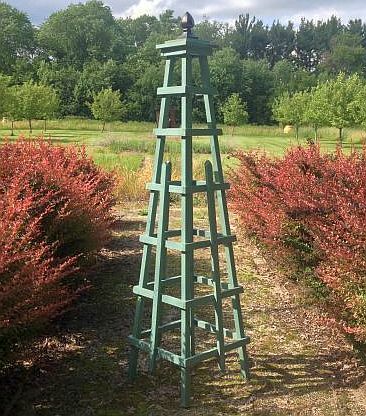 Handcrafted Cedar Garden Tuteur with Metal Finial. Custom color matching included. 86" Tall by 24" Wide. 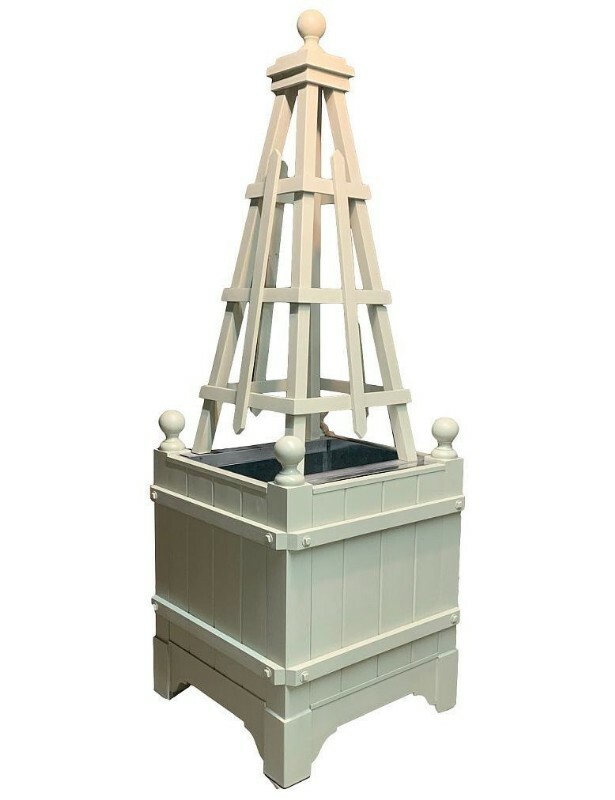 Designed to perfectly support large tomato plants. We happily accomodate custom size requests. All made to order in approximately 6 weeks.